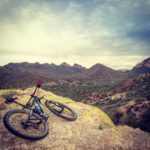 Black Canyon Trail System: Pretty new singletrack system in the far north valley. Accessible off Table Mesa Road on the I-17. 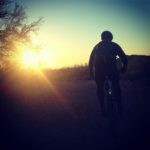 Trail 100, Phoenix Mountains Preserve: Trail 100 is one of the Phoenix classic rides. Located in the heart of the north valley, the trail system winds through the city and tunnels under the freeway. McDowell Mountain Race Loops: Three loops to ride, the Sport Loop, Tech Loop and Long Loop. All good. Five dollar entrance fee, not so good, but well worth it. 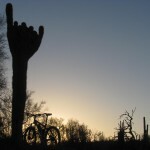 Pemberton Trail, McDowell Mountain Park: The fifteen mile Pemberton trail offers riders a chance to test their endurance skills on a mixture of singletrack and jeep road. Night rides in the summer are one of Pemberton’s brighter moments . Sunrise Trail: McDowell Sonoran Preserve. Sweet trail for climbers. Lost Dog Wash: McDowell Sonoran Preserve. Easy trail, nothing to spectacular. 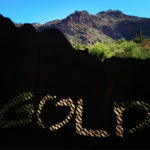 South Mountain Trails: Download a Google Earth file of all the trails on south mountain. Trails included: Pima Canyon, Mormon Loop, National, Hidden Valley (Fat Manâ€™s Pass) Desert Classic, Secret, Corona Loma, Telegraph, Ridgeline, Javelina, Beverly Canyon, South Ridge, San Juan Road, Warpaint, Geronimo, Scout Camp, Holbert, Alta, Bajada, Mine Drop, Ranger, Los Lomilitas, Kiwanis, Max Delta, Goat, Helipad, and the Pima East and West Loops. 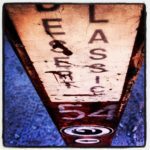 Desert Classic: It’s called classic for a reason. National Trail: A favorite on South Mountain. Bring your game. Mormon Trail: Also called 24the Street, since it starts or ends at the 24the street lot. Brutal but doable climb. Gnarly descent. 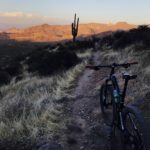 Javelina Trail: Nothing spectacular, steady climb and, a nice connector to Mormon from the 46th Street lot. Geronimo: For shuttling huckesters. Short, sweet, sharp, bring armor if you have it. It’s doable on a 4 inch trail bike, but the more bounce the better. 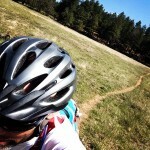 East and West Loops: Nice mix of short singletrack and doubletrack. Stays close to the Pima lot. Plenty of shoots to explore. 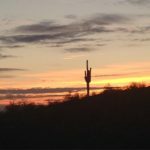 Casa Grande Mountain: CG Mountain is the best kept secret outside of Phoenix and Tucson. This new system is being built entirely by locals and is in pristine condition. 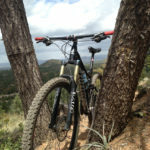 A must-ride for the XC rider. 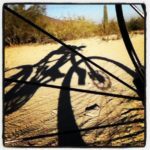 Hawes Trail Loops: Excellent singletrack trail system in northeast Mesa. 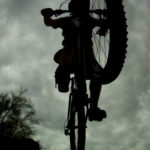 One of the most popular in Phoenix because of the great XC riding for all levels. Trails in teh Hawes system: Hawes, Mine, Ridge, Granite, Saguaro, Saddle. Nearby and connecting trails Twisted Sister and Wild Horse. Pass Mountain: This is my favorite loop in the valley. It has everything, the climb, the down, the twists and turns, and plenty of scenery. 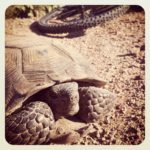 Usery Mountain Park Trail System: A great system of trails for everyone. Nothing gonzo at all (for that see Pass Mountain). San Tan Mountain Park: Easy, flowing doubletrack the whole park through. What San Tan Lacks in the skinny, it almost makes up for in scenery. Malpais and Rock Peak are spectacular. F.I.N.S. 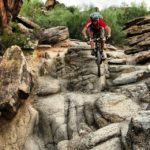 Fantasy Island North Singletrack: A sweet new trail system built by locals. Development encroaching. Ride while you can! Estrella Mountain Race Loops: Three loops, Long, Tech and Junior. Good fun for riders with legs and lungs. You’ll be cursing the long loop if you’ve been out of the saddle for a while. 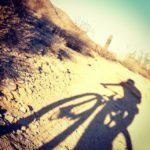 Goat Camp Loop, White Tanks: Enjoy the full loop for a serious gnar fest descent, or do the Goat Camp XC and leave the armor at home. Both awesome rides.